Steve Doig (@sdoig) is the Knight Chair in Journalism, specializing in data journalism — the use of computers and social science techniques to help reporters do their jobs better. The chair was created with a $1.5 million endowment given to the Cronkite School by the John S. and James L. Knight Foundation. Doig joined the Arizona State University faculty in 1996 after a 23-year career as a newspaper journalist, including 19 years at the Miami Herald. There, he served variously as research editor, pollster, science editor, columnist, federal courts reporter, state capital bureau chief, education reporter and aviation writer. The Pulitzer Prize for Public Service (1993) for What Went Wrong, a study of the damage patterns from Hurricane Andrew that showed how weakened building codes and poor construction practices contributed to the extent of the disaster. The Goldsmith Prize for Investigative Reporting (1994) for Lost in America, an examination of how the nation’s immigration policies have failed. The Investigative Reporters & Editors Award (1995) for Crime and No Punishment, a probe into why South Florida had the highest crime rate and the lowest incarceration rate of any major metropolitan area in the country. The George Polk Award (2012) for Decoding Prime, an analysis of suspect hospital billing practices for the California Watch investigative organization. Doig is a political science graduate of Dartmouth College. He also graduated from, and later taught at, the Defense Information School and spent a year as a combat correspondent for the U.S. Army during the Vietnam War, for which he was awarded a Bronze Star. He currently teaches graduate courses in the Cronkite School’s professional master’s program, including the print reporting portion of the Journalism Skills (MCO 502) bootcamp as well as Media Research Methods (MCO 510). He also served two years as interim director of the Cronkite School. In 2010, he spent four months in Portugal as a Fulbright Distinguished Chair, teaching graduate students at the Universidade Nova de Lisboa and lecturing around the country. During the summers, he works with the Carnegie-Knight News21 initiative helping students do data-heavy investigative projects. Doig actively consults with print and broadcast news media outlets around the world on computer-assisted reporting problems. Along with the California hospital billing project, other examples include a study of racial profiling in Massachusetts traffic tickets for the Boston Globe, a study for the Cleveland Plain Dealer of racial differences in access to health care and an analysis of the 185,000 uncounted ballots in the Florida presidential election of 2000 for the Miami Herald. He is an active member of Investigative Reporters & Editors and served on the 4,000-member organization’s board of directors for four years. Recently, he worked with IRE to organize and judge a new journalism contest, called the Phil Meyer Award for Precision Journalism, to recognize the best journalism done each year using social science techniques. In addition, he has been a speaker at many national meetings of journalism and other organizations. 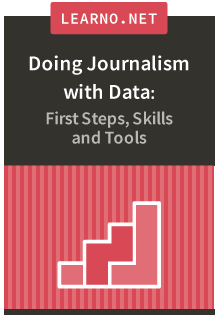 He also has traveled to China, Canada, England, Spain, Portugal, Australia, the Netherlands, Mexico, Norway, Ukraine, Belgium, France, Germany, Austria, Switzerland, Brazil and Indonesia to do training in data journalism techniques. Doig's research interests include newsroom diversity, demographics, public opinion polling, crowd estimation and finding techniques used by other professions that can be developed into tools for journalists. He is happy to work with students who are interested in doing independent projects that result in significant pieces of journalism.